I doubt that 2015 will be remembered for being dominated by one particular musical genre. It seems the culture of digital downloads has made it more difficult for a movement to coalesce in a marketplace brimming with choice. I'd argue though that the last twelve months has seen the strongest showing from female artists across the board for many years. Many acts would easily have made my year-end list on a different day, and many of them cantered on a strong female voice. Solo artists like Joanna Newsom, Laura Marling, and Lana Del Rey all presented strong albums. Even Florence Welch's third album How Big, How Blue, How Beautiful, which didn't quite live up to her previous efforts in my opinion, featured some glorious moments. I debated for a long time whether to include Courtney Barnett's Sometimes I Sit And Think, And Sometimes I Just Sit in my ten best records list. Ultimately it sits just outside for me, although her unique delivery and kitchen sink drama approach is wonderfully endearing. That Adele's 25 closed the year on a strong note, just underlined the trend that had been building all year. It's not just solo artists though; the likes of: Best Coast, Girlpool, Bully, and Wolf Alice, all demonstrated that women were back in the spotlight. Other bands made welcome returns, Blur in particular were my live highlight of the year, thanks to Graham Coxon's master class on stage. Their album The Magic Whip didn't quite make the cut for my list in the end, compared to most other years it would have. Interestingly it was also a year where side projects came to fruition for well-known artists. Dan Auerbach's The Arcs produced their first studio material, as did Matt Berninger's El Vy. Both albums had their moments, but didn't quite feel fully realised in their own right. Elsewhere the likes of Lucero, Jason Isbell, and Ben Folds produced albums that matched their finest work. My love of bands from Philadelphia also continued thanks to Beach Slang's debut The Things We Do To Find People Who Feel Like Us and Hop Along's third album Painted Shut. If there were disappointment's I had, it was those records that were simply good and not as great as you'd hoped. The Decemberists, Frank Turner, Wilco, and Death Cab For Cutie's albums all fell into that category for me. By no means bad, the material on those albums struggled to compete with their high watermarks of previous years. I was especially curious about Ryan Adams' ambitious reinterpretation of the entirety of Taylor Swift's 1989, the result didn't quite live up to the promise it had on the drawing board though. It may have introduced a different audience to some excellent songs, but Adams managed to strip some of the fun out of the arrangements in the process. By the time there were Father John Misty covers of Adams' recordings on the Internet, it felt like the Swift fan club didn't need any more famous members. Then there were the records you felt you should love, but for whatever reason they just didn't connect on a personal level. Drake and Father John Misty aka Josh Tillman produced records that despite the hype I just didn't manage to fall in love with. Tilman's 'Bored In The USA' was astute social commentary with it's tongue firmly in its cheek, but it didn't hook me into the album as a whole. Perhaps the biggest record in this category for me is Kendrick Lamar's To Pimp A Butterfly. It's technically brilliant, ambitious, has great rhymes, and straddles so many genres that it shouldn't be as cohesive as it is. The problem was, it left me cold. It almost felt as if Lamar wanted to prove he could produce something that ticked all the boxes he thought he should, rather than writing the record he wanted to. Perhaps with time I'll grow to love these albums, hindsight is a wonderful thing. That's something else that continued to entice music fans this year, the lavish re-appraisal of years gone by. Led Zep completed their ambitious re-issue series, The Beatles' 1 got an impressive audio/visual makeover, and Underworld's Second Toughest In The Infants was wonderfully re-packaged. For my money though it's the Bob Dylan Bootleg Series that trumped everyone. That Columbia offered an 18-disc set of every note Dylan recorded in a studio between 1965 and 1966 was a treat and felt like a historic moment. For the first time the archive doors were thrown open to allow a rounded picture of Dylan's move from Folk to Electric. While the days of listening on that set were admittedly excessive, the 6 disc or even 2 disc highlights are far more manageable and are well worth investigating for anyone with even a passing appreciation for Dylan's best work. It surprised me that Finn's second solo project remained lodged in my brain for so long. My review at the time said that the character vignette's he presented were compelling; it strikes me now that there are more than a few musical earworms here too. 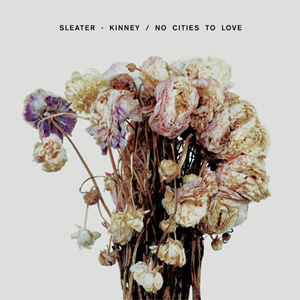 It's the strongest set of songs he's produced since The Hold Steady's Stay Positive and 'Sarah, Calling From A Hotel' still sends shivers down my spine as Finn describes an aborted phone call from an ex-lover. My review of Alabama Shakes' sophomore album Sound & Color stated that Brittany Howard was fast becoming a force to be reckoned with. Eight months later her vocals are still so distinctive that no one else has really come close to showing the same ambition as Howard demonstrated on Sound & Color. The Blues, Rock, and classic Soul on display here is also masterfully co-produced by Blake Mills, it's no wonder both he and the band have received Grammy nominations for their outstanding work. Katie Crutchfield described the title of her third studio album, Ivy Tripp, as a term for directionless-ness in modern society. The result was far from meandering, while it's her most intricate set of songs so far, there's something universal to the soul-searching on offer. That she veers from grunge-tinged guitars to delicate quiet reflections shows real scope. It's an album to get lost in, amongst the autumnal moods on offer, and one that's incredibly rewarding when you do. Prolific 33 year-old German pianist Nils Frahm produced an astonishing instrumental album in March. Solo as the title suggests is just Frahm, with his piano. There's no vocal, indeed compared to the other albums on this list, there's not a whole lot here on first inspection. However when you realise the sounds you're hearing are the inner workings of his instrument, you start to appreciate the sheer beauty of this album. The story goes that he used microphones inside the piano so that he could play softly and not disturb his neighbours. The result is a percussive effect from the hammers and mechanisms that compliment the traditional sounds of the instrument. The frenetic 'Wall' is the standout, but as a whole the album seems to exist in an ethereal world of its own. Björk's ninth studio album is among her best. A break-up record in every sense, she lays her soul bare following the breakdown of her relationship with Matthew Barney. It's unrelentingly imaginative as the 50 year-old sets string arrangements against programmed beats. The result is graceful and at times unsettling as the album builds to a climactic moment of catharsis during 'Mouth Mantra'. At the time I described that song as an imagined sonic sketch of an interstellar singularity folding in upon itself. I'm pleased to find that Vulnicura has lost none of its power in the intervening months. Nathaniel Rateliff's reinvention as a full-blown Soul artist seems to have paid massive dividends. It was always obvious he could pen a good tune, but by forming the Night Sweats he seemed to have found his calling. His first full length offering with that band is a classic Soul record in every sense; it's uplifting, energetic and unapologetic about its homage to the likes of Otis Redding. Throw in the runaway success of hit single 'S.O.B' and you've got an album that's easy to love. That it seems to have been neglected in many year-end lists seems like an oversight that I'm keen to put right. Beach House's fifth album Depression Cherry, which was quickly followed by Thank Your Lucky Stars, was the superior of their two studio offerings this year. From the furry red album cover to the hypnotic drone of standout track 'Sparks' this was a fully immersive experience that engaged all of your senses. Victoria Legrand and Alex Scally broadened their delicate Dream Pop sound to create something that seemed to share common ground with the likes of My Bloody Valentine. Bloom may remain my favourite Beach House record, but Depression Cherry wasn't far from stealing its crown. In a similar way to Alabama Shakes' decision to collaborate with a producer who is a musician in his own right, the Staveley-Taylor sisters decision to work with Bon Iver's Justin Vernon at his April Base studio produced something magical. There's warmth to the brass that accompanies their unique harmonies, and the songs themselves are also so expertly crafted that the material has catapulted them far beyond the promise of their debut album. If you needed proof of homegrown UK talent this year, you needn't look further than The Staves. During an interview with The Staves in November, there was a moment where we all geeked out about Sufjan Steven's album Carrie & Lowell. Camilla Staveley-Taylor said it made her cry, her sister Jessica went on to describe it as "a f**king beautiful album". Quite simply it is beautiful, as Stevens contemplates the death of his estranged mother and making peace with your past. It's deeply personal and heartbreaking for all the right reasons. Stripped of some of his usual quirks, these songs are predominantly structured around a hushed vocal and acoustic guitar or piano; it's understated and perfect in almost every way. 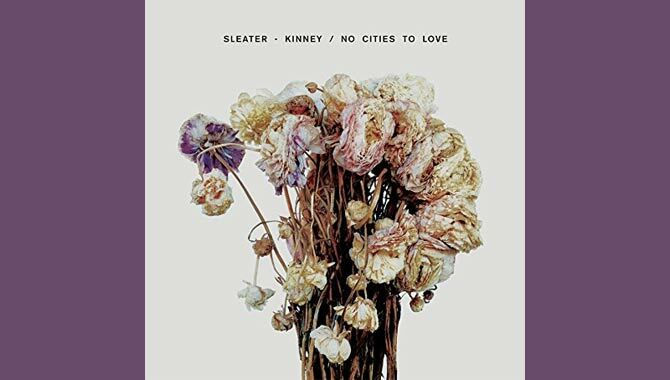 No one expected Riot Grrrl veterans Sleater-Kinney to release a new album after a hiatus of ten years. Band members had moved to other projects and Carrie Brownstein was busy making subversive TV comedy sketch show Portlandia. The signs were certainly not there that the band had been recording. Yet within a matter of months of an initial announcement No Cities To Love landed in January. In my opinion it hasn't been surpassed all year for the simple reason that it feels crafted with laser precision. There's nothing superfluous here, and clocking in at just over half an hour, it's difficult to think of any other act getting to the point so concisely and accurately. A perfect blend of Punk, Pop and Indie sensibilities soundtracked these raucous songs that are brimming with vitriol and social commentary. Technically it's a comeback record, the band felt they now had something new to say. 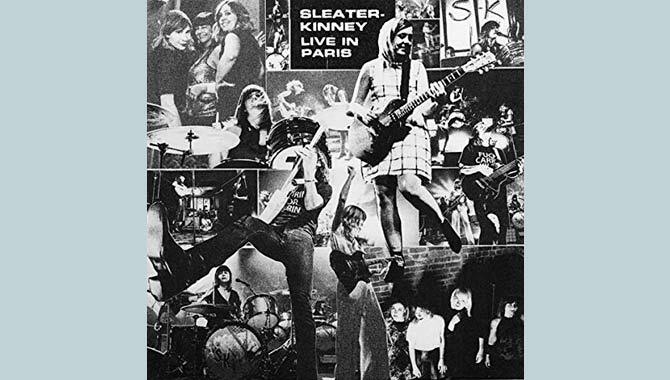 Rather than a trip down memory lane though it's quite possibly the best Sleater-Kinney album to date, which makes it essential listening.